This would qualify as something forgotten learned again. 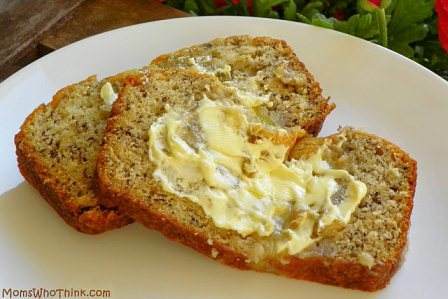 I used to make banana bread every month or so it seemed but haven’t made them in the last 6 months. I couldn’t remember the measurements when my husband asked me to make it for the 4th of July to bring to our friends house. Everyone said it was the best banana bread they ever had.This is how the recipe is ending up on here. This entry was posted in Uncategorized and tagged 4th of July, baking, banana bread, butter, eggs, flour baking soda, Recipe, sugar, the best. Bookmark the permalink.